Note that the Heidoc.net Windows ISO Download Tool still offers access to an 1809 ISO. I’ve blogged here before about Heidoc.net/Jan Krohn’s Microsoft Windows and Office ISO Download Tool. 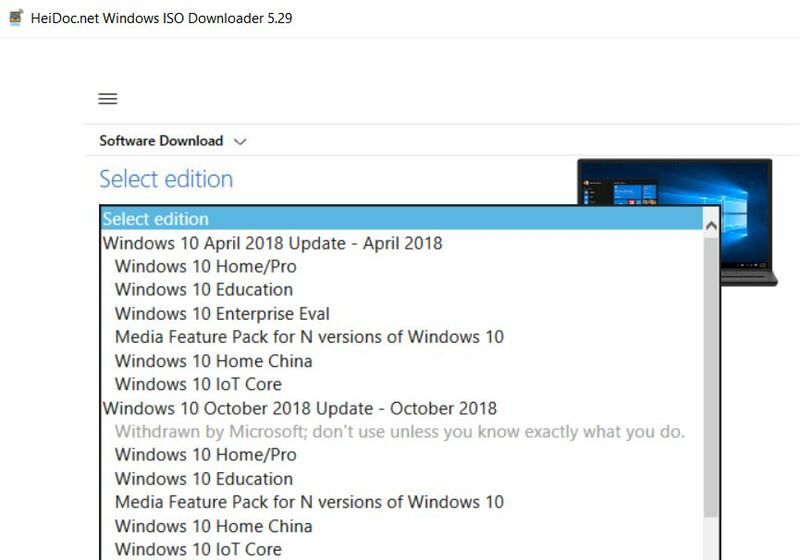 The foregoing screenshot shows that they’ve grabbed and still offer copies of the ISOs for 1809 for Home/Pro, Education, and more. Thus you can use this tool to obtain a copy of what MS has withdrawn from circulation. Because it does contain well-reported bugs, this is something you should consider carefully before messing around with. You should also make a complete image backup of your system drive and create recovery media before attempting an install in the face of possible gotchas. And please: don’t say I didn’t warn you! If It’s Broke, Why Use It? A TenForums poster this morning bemoaned the lack of access to an 1809 ISO this morning, because she wants to perform an in-place upgrade repair install to try and fix some Wi-Fi driver issues on a PC she’s already upgraded to that release. I recalled seeing an earlier post on a different topic that reported Heidoc.net still offered the 1809 ISO and used the program to produce the screen cap shown above. Proof positive that in this case, where there’s sufficient will and knowledge, there’s still a way to lay hands on an 1809 ISO.